Sea trials aboard Greenland, the world’s first LNG-fuelled short-sea dry bulk vessel, have validated the performance of Thordon Bearings COMPAC propeller shaft solution, indicating that seawater-lubricated bearing systems are applicable to all ship types and are definitely here to stay. "Erik Thun has truly raised the standard in sustainable shipping with this vessel, pushing the boundaries of environmental possibilities to a completely new level," said Tommy Holmgren, Sales Director with the Duwel Group, Thordon Bearings’ distributor in Sweden. 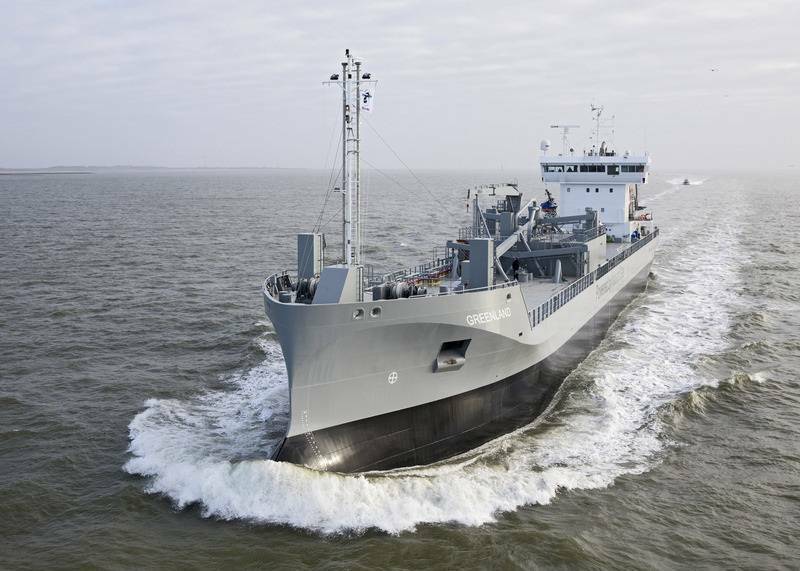 Greenland, a 5,800 dwt self-loading/unloading cement carrier built under the EU-TEN-T funded Pilot LNG project for the JT Cement joint venture, is the first ever LNG-fuelled dry cargo vessel in which a pressurised liquid natural gas tank is incorporated into the vessel’s hull. It is also the first LNG-fuelled vessel to feature a seawater-lubricated propeller shaft bearing system. Ola Persson, Technical Manager, Erik Thun Group, said, "With environmental sustainability being the main consideration in the operation of all our vessels, equipment performance and reliability is imperative." In addition to its COMPAC solution, Duwel supplied Thordon Bearings’ grease-free ThorPlas-Blue range of polymer bearings for the vessel’s deck winches and self-unloading equipment. Holmgren said one of benefits of ThorPlas-Blue is the amount of time it saves ships’ crew. "Crews no longer need to grease the winch bearings and since they don’t wear out, maintenance is negligible, leaving the crew to get on with other jobs." Erik Thun Group has a long history with Thordon products, with COMPAC and ThorPlas bearings aboard the self-unloader Vestanhev, cement carriers Gotland and Bornholm, and the dry cargo ships Alice and Helge. "It will be Greenland, though, that shows the industry that seawater-lubricated propeller shaft bearings are the future. They’re here to stay," Holmgren said. Built by Ferus Smit’s Westerbroek shipyard to Lloyd’s Register Ice-class 1A and suitable for year-round service in the Baltic Sea, Greenland completed sea trials, in December, prior to taking her first operational load in Rostock, Germany. Second of class Ireland is due for delivery within the next three months, while options for two more vessels are under consideration.